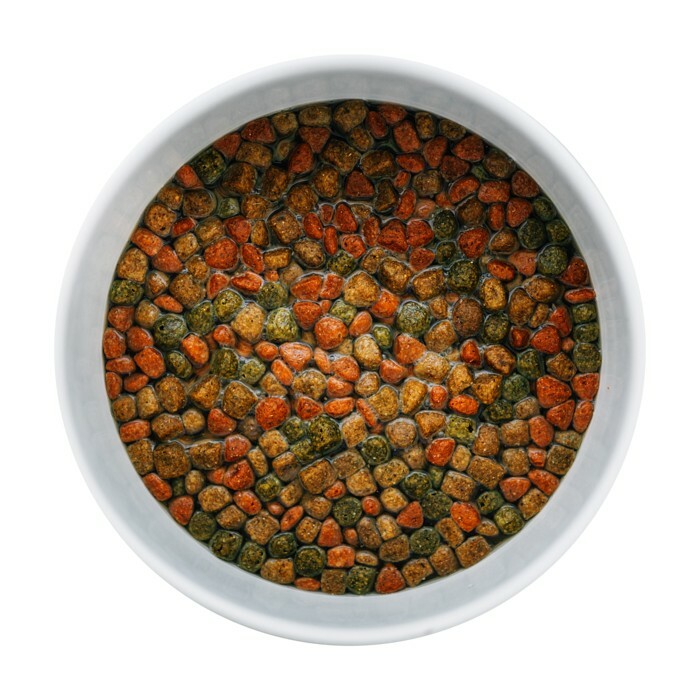 A super-food meal topper that dogs go crazy for! 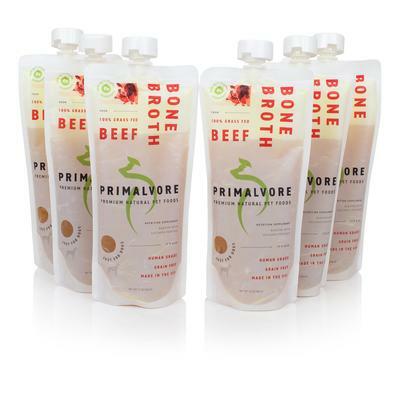 Nourishing and Organic Beef Bone Broth from 100% Grass-Fed cows. Boosted with Collagen and Turmeric for joint health. 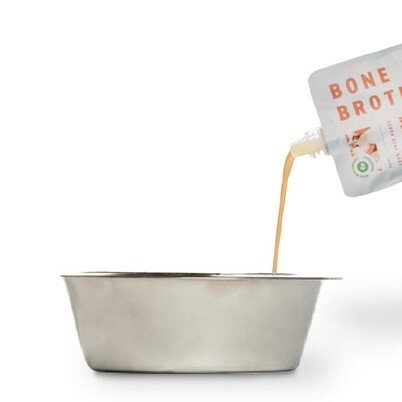 Made with only 3 ingredients for healthy treat that dogs devour! Feeding Instructions: Feed up to 2 tb. (1/8 cup) for every 10 lb. of your pets body weight. Your pet may enjoy more or less depending on their appetite and activity level. 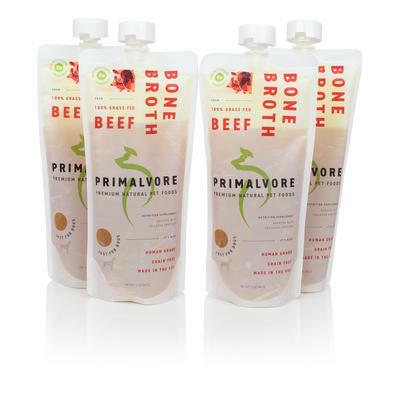 Serve up to 2 servings per day. Nutrition Facts Calorie Content: ME Calculated 210 kcal/kg - 6 kcal/1 oz.